4 Bedroom House To Rent in Plymouth for £1,150 per Calendar Month. This fabulous bespoke detached family home, the property enjoys elevated panoramic coastal and sea views, these beautiful views stretch to Cornwall's south coast. Accommodation comprises of, snug area with comfy chairs, wood burning fire and bi fold doors out to the garden and patio area, doors leading to the lounge which is light and bright with stunning waterside views. The kitchen diner is a great family room, where you can make a family meal or a light bite whilst watching the children complete their homework. 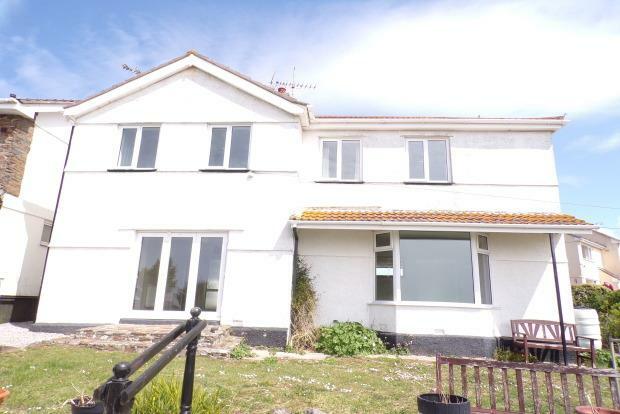 To the first floor there are four double bedrooms, 3 of the bedrooms have double beds and the 4th has a single bed, the master bedroom has a large built in wardrobe and duel aspect windows with stunning countryside and sea views. There is a family bathroom and an additional shower room which is modern and well presented. To fully appreciate all what this unique property has to offer internally and externally a viewing must be undertaken.